This week&apos;s Doctor Who, The Lie of the Land, deserves a real review because it&apos;s such an excellent story. As I noted yesterday, this story strikes very close to reality given the problem we have with Fake News currently. This story goes way beyond Fake News to Fake History, and a telepathic broadcast of fake information to delude the population. What happens when we&apos;re told an idea enough times? So long as the idea is plausible humans will eventually accept that idea and get on with their lives. This happens all the time in the real world with certain news channels routinely reporting falsehoods as if they&apos;re real, and fake ideas affect enough people to influence major elections. Witness last Fall in the USA, and several elections since then in France, and Moldova, and Bulgaria, and the Netherlands, where fake news propagandists had enough success to sway a few of those elections. Pearl Mackie&apos;s performance this time was spot-on amazing. We saw her really going through some seriously deep stuff. The Doctor didn&apos;t help, he played a seriously deep head game on her. Of course he had to, because of the possibility she&apos;d been indoctrinated by the telepathic transmissions. Let&apos;s open that up a little bit. 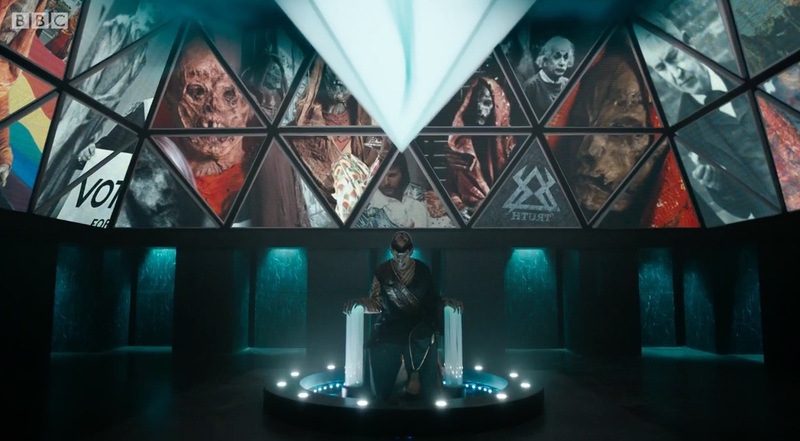 As has been the case for many Doctor Who&apos;s of the past, this story had a central dictatorial power defining the Truth and punishing anyone who didn&apos;t fall in line. In this case it involved a telepathic transmission of fake-news-information that directly injected the desired Truth into the mind of the populace. And that was coupled with a police force empowered to find Memory Crimes, and punish anyone believing things other than the fake-news-Truth. But - humans being humans - a few were immune to the telepathic fake news broadcasts. They were shown being arrested for having committed Memory Crimes. Apparently owning Comic Books was enough to warrant being arrested. Something I don&apos;t grok -- why did The Doctor work for The Monks as their propagandist? Why did he portray what he&apos;s done as if The Monks had done it? Supposedly this was so he had access and capability to determine what the Monks were doing. But he didn&apos;t seem to be able to discern that much. Instead, in the end it was Missy who told them everything. And then there&apos;s this head fake Moffatt did on us all. 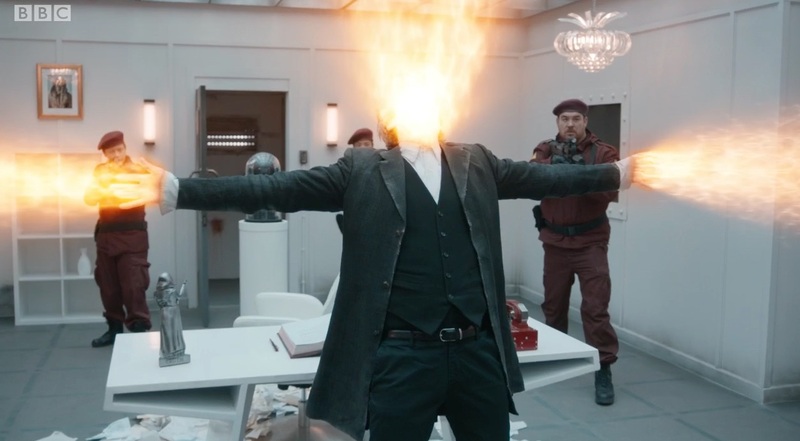 We&apos;d seen images of this "Regeneration" before the season began, and ... what the bleep? The Doctor was supposed to last out the season and probably the Christmas Special. He can&apos;t have regenerated halfway through the season. Moffatt is yelling FAKE at us ... It was just more of The Doctor&apos;s head fake on Bill. 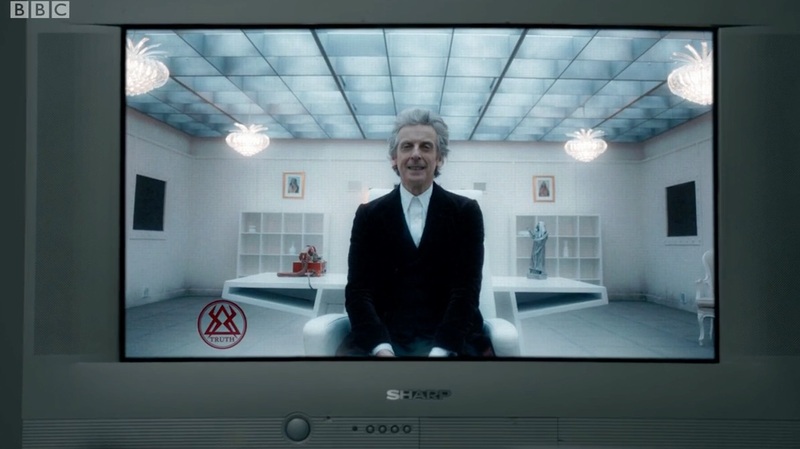 As is so often the case in Doctor Who, the solution involves going to a centralized control system and blowing it up. 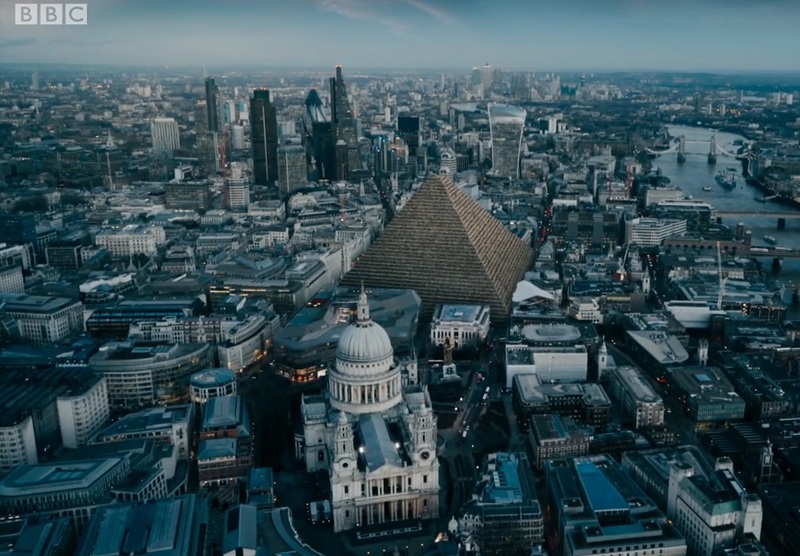 That&apos;s where we saw The Doctor do one of his schtick&apos;s -- sacrificing himself to destroy the baddies. But in this case it wasn&apos;t going to work, and instead Bill had to do it herself. After tying the Doctor&apos;s hands. "Fake News Central" -- awesome presentation of the concept. Isn&apos;t this so much like what the news media does to the population around us? In the context of a web of lies the solution is to hang onto the truth.